As we grow older, we tend to face limitations we didn’t have before. These are usually manageable at first. Over time, they can begin to affect our ability to do basic things that are necessary to remain healthy and safe. It can be a hard fact to face, but at some point, you may have to help a friend or relative move into an assisted living facility. The best way to do it is before they experience severe changes that could lead to an accidental injury or illness. 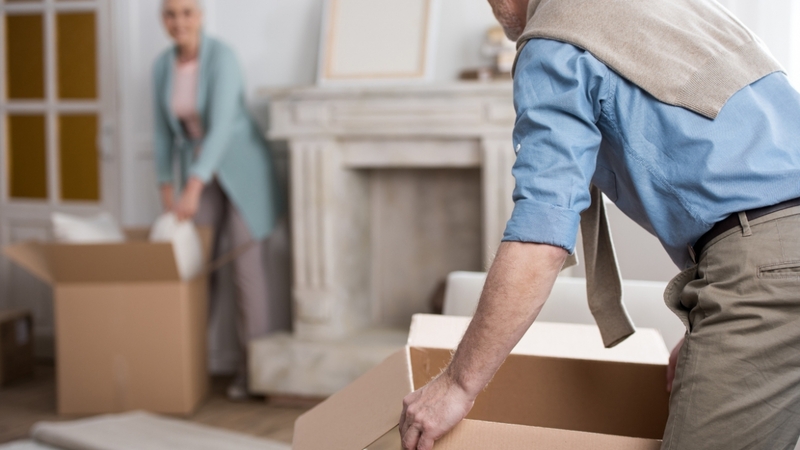 What signs should you look for to determine if your loved one is ready to move into an assisted living home? Seniors who have difficulty managing their medications could be showing early signs of needing assistance. This could include forgetting to take prescriptions or trouble physically handling them. An assisted living facility will have professionals who ensure your loved one takes their medications when they are supposed to, so you never have to worry about an under or overdose. Activities of daily living (ADLs) describes the things we all do each day like dressing ourselves, going shopping, doing the laundry, cooking, and cleaning. Social workers and doctors can administer a functional assessment to determine if a person is capable of living independently, possibly with in-home help, or if they need something more. Has your loved one had a lot of accidents or near-accidents recently? This could include falls and car accidents. Even if the incident was very minor, an increase could indicate diminishing ability to manage daily life. An assisted living facility is designed to ensure safety with equipment and skilled medical services. Family members may step up and serve as caregivers as a relative’s physical or mental capabilities begin to change. This can work for a while, but eventually the demands of caring for someone fulltime can become too much. If you notice increased stress on the current caregiver, then this could indicate it’s time to look into an assisted living situation. Did you notice that your loved one seemed a lot thinner or heavier the last time you hugged them? Thinness can happen due to a variety of conditions including depression and cancer. It can also be the result of someone who is unable to go shopping for food or cook for themselves. Gaining weight can be an indication of slowing down or dementia. If your loved one’s body has changed significantly or if they seem frail, they may need assisted living services. Our social circles usually shrink as we grow older. This can cause seniors to lose interest in hobbies or social activities. It can also cut them off from help when they need it. Look for signs of active friendships. Also, watch for indications that your loved one has lost interest in the hobbies they once enjoyed. If they are suddenly staying home for days at a time or cannot leave because they can’t drive, it may be time to transition to an assisted living facility. Body odor is closely tied to hygiene. Someone who is struggling to care for themselves may not be able to keep themselves clean. This can lead to bacteria build-up and infections, which can be dangerous. An assisted living facility can provide help with regular grooming and dressing. Chronic health conditions can become worse as we age. Illnesses like COPD, congestive heart failure, and dementia can be extremely difficult to manage without professional help. An assisted living facility can provide access to doctors and nurses who understand how to manage these chronic conditions. Mental and emotional changes can appear in people who are developing dementia. They can include violent behavior and aggression. This can cause feelings of resentment in family members and even put others at risk. If a loved one begins to show signs of aggression, it is time to look into assisted living. Sundowners syndrome, also called “sundowning,” is a term that describes agitated behavior in Alzheimer’s patients that becomes more pronounced near the end of the day. This can also cause stress in the household and disrupt the family’s routine. If you notice changes in your loved one’s abilities, behavior, or lifestyle, it may be time to learn more about assisted living homes. We are available to answer questions or provide tours of our Scottsdale, AZ facility. Get in touch and let us help you find the best living situation for your loved one.